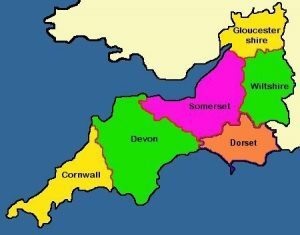 The South West of England is one of the most beautiful parts of the UK with a very diverse and interesting mix of metropolitan cities, architecturally beautiful and historic towns to lush green countryside and dramatic coastlines. It is a huge area to explore and it would be impossible to see it all in one trip. There is one great way that you could experience a piece of each area and get a unique, birds eye view of a vast and varied land and that is from a Hot Air Balloon! 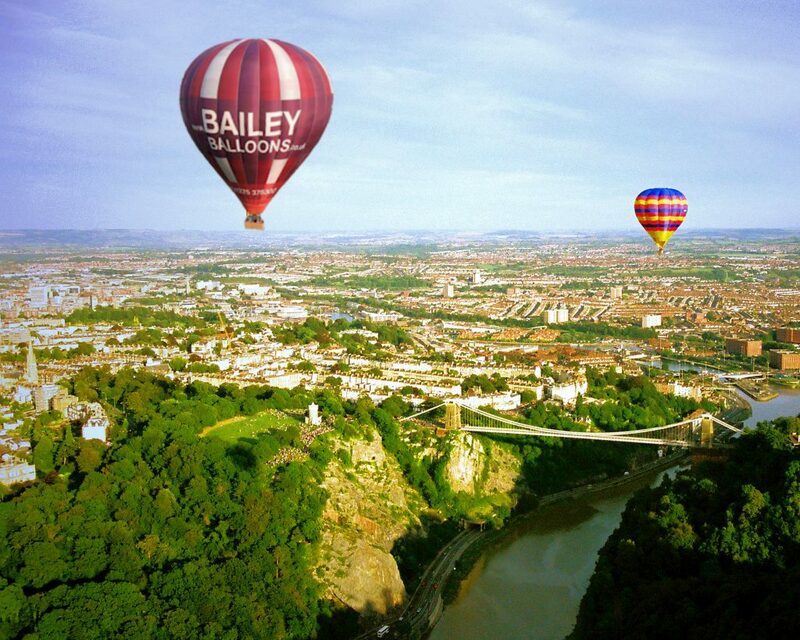 Aerosaurus Balloons have handpicked some very special launch sites across the South West to give our passengers the best possible views of their chosen area. Our flight vouchers can be used for any of launch sites in Devon, Cornwall, Somerset, Dorset, Wiltshire, Bristol, Bath and South Wales! 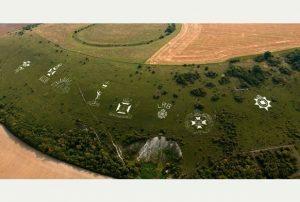 If you are going to be visiting the South West and can’t decide which area to fly from – talk to our friendly team who are best placed to advise you on what you might see from each area, they are always pleased to offer advice and assistance and are all passionate about ballooning and the South West! Give us a call today on 01404 823102. This guide will give you a brief idea of what you can expect from a flight in the various areas that fly from but you can read more detailed guides about each specific location by following the links at the bottom of the page. Devon is one of the largest counties in the country so we have chosen 3 special locations to fly from – Tiverton and Exeter in the east and Lee Mill in the south. Each one offering a unique insight into the counties history and geography. 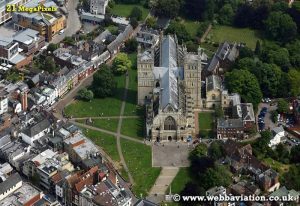 The Cathedral city and capital of Devon, Exeter is one of our most popular launch sites. Taking off to the north of Exeter usually takes us over the vibrant city and out towards the surrounding towns such as Crediton, Cullompton or Honiton. Our South Devon launch site is Lee Mill which is located conveniently for easy access from Plymouth, Ivybridge, Kingsbridge, Dartmouth, Brixham and Torquay. From here our flights usually head North towards the beautiful craggy tors of Dartmoor or south over Modbury and towards Kingsbridge. Look out for our next blog which is all about how to spoil your loved one this year in Devon! The small, yet perfectly formed county of Somerset offers 2 lovely places to fly from, Taunton and Castle Carey. Taunton is easily accessible, just off the M5 and flights from here generally enjoy views across Taunton Deane, Taunton Castle and across to Exmoor. We also fly from the Wheathill Golf course in Castle Carey which is located just to the east of Glastonbury. From here, our flights enjoy views of the Somerset levels, and across the border into Dorset. Aerosaurus Balloons offer hot air balloon rides across the whole of the South West including Wiltshire, Dorset, Bristol, Bath, South Wales, Somerset & Devon!